Audience response software allows presenters or event organizers to interact with event audiences via polls, text responses, or multiple choice questions displayed through their mobile devices. These tools are used to engage audiences and bring a level of interactivity to conference sessions or speaking engagements, allowing presenters to easily capture ideas or opinions of attendees. Audience response software is often used by event professionals alongside other event management software including mobile event apps, registration and ticketing tools. Audience Response reviews by real, verified users. Find unbiased ratings on user satisfaction, features, and price based on the most reviews available anywhere. Slido is an audience interaction platform for meetings and events. It allows meeting and event organisers to crowdsource top questions to drive meaningful conversations, engage participants with live polls and capture valuable event data. Slido’s focus is on simplicity, allowing organisers to create an event in less than a minute, while participants can join from any device with just one simple code. Since its foundation in 2012, Slido has helped to transform over 160,000 events across more than 100 countries by engaging millions of participants. 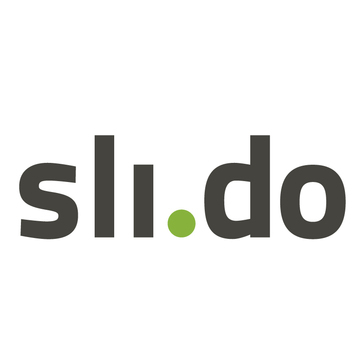 Slido has been adopted by a number of renowned conferences, including SXSW, Web Summit and Money20/20 and has worked with high-profile clients including Spotify, Lufthansa, BBC and Oracle. Headquartered in Bratislava, Slovakia, Slido has a team of more than 120 people, with offices in London, New York, San Francisco and Sydney. Glisser delivers interactive polls, live Q&A, and slide sharing to your audience's mobile devices, helping make your sessions more engaging and collecting lots of useful data. You can even do this without a presentation - for speaker panels or fireside chats. Glisser takes minutes to setup, with no expensive clicker-pads and nothing for your audience to download, it's designed to fit events and meetings of all sizes. Crowdpurr is an Audience Engagement Platform that helps you create amazing interactive mobile-driven experiences for your live events. Our first-in-class live trivia allows your crowd to compete against each other for prizes and IQ bragging rights with live rankings, dynamic team modes, and image/GIF-based questions. Our live polling allows crowd lead capture, data and lead export to Excel, and dynamic multi-question format polling. Check out Crowdpurr.com to learn about all of our exciting tools and features for your live events. Poll Everywhere adds live audience interaction to every meeting, town hall, training session, and class. It works on everyday devices like phones and laptops, changing the presentation screen instantly as responses roll in. Poll Everywhere takes minutes to use. It offers open-response questions to facilitate frank discussions with crowds of thousands. And it enables quick multiple-choice questions for assessment and event surveys. It even gives you the flexibility to use graphs, maps, and photographs as clickable question fields, or to create a word cloud with the audience. Use it to tap the expertise of the audience, to assess learners in the moment, to show the ROI of your initiatives in human terms, to make a quick group decision, or simply to break the ice. Poll Everywhere is whatever you need it to be for your event, your audience, and your goals. Sendsteps provides realtime audience interaction through mobile phone. The European market leader, with offices in Los Angeles, Amsterdam and Sao Paulo, believes that interaction with the audience makes presentations more lively and conferences better fun. It's mission is to change every presentation from a monologue into a dialogue. Event organizers, can easily setup the polls, surveys and feedback using a simple online application and the results can be viewed real-time and can be published at any time. Real-Time Audience Q&A, Polling, and Session Evaluations. Conferences i/o is a web-based Audience Response System that empowers audiences and give presenters actionable, real-time insight. Conferences i/o technology is used around the world at conferences, events, presentations, meetings, trainings, and professional education. DialogLoop is a turnkey Audience Engagement and Networking Software Platform for live events. The DialogLoop Add-in for Microsoft PowerPoint enables Presenters to seamlessly build surveys, stream content and their presentation to attendees mobile devices. Attendees connect to the DialogLoop Web platform to discover the content, engage in real time surveys, participate in live Q & A, and interact through live private chatting and networking. The iVote-App system integrates seamlessly with Microsoft PowerPoint to allow polling slides to be created in seconds. Audience members respond using the free to download iVote-App. Responses are collated in real-time and results displayed instantly. An audience communication platform for meetings and events. Fast, easy to use and no downloads required: opens instantly on any mobile or desktop device in the browser. Key features include: live Q&A, live audience polling & surveys, fully-anonymous participation option, quizzes, broadcast mode, real-time feedback, audience emotional response, raffles, extended customization. MeetingPulse platform additionally allows to create a custom solution for your organization or even a national broadcast. MeetingPulse is used by Fortune 100 companies for town halls, all hands, webinars and regular meetings and events. Event planners: Make your events fun, interactive and engaging with Pigeonhole Live! Crowdsource questions or run real-time polls and surveys with your audience. Visualise responses in beautiful charts on the projector and gather insightful data about your audience. Perfect for conferences, town halls, workshops, customer engagement seminars, tech talks, conference calls and more. Use free at your events for up to 1000 audience members. Upgrade for more features. Harness the power of real-time audience intelligence. A web-based app to crowd-source audience questions at events, conferences, webinars or town hall meeting. People can submit questions from their phones, using a web link to the event, and vote for questions that they want to be answered. asQ-us is a software for mobile participation and conference text messaging. Chatroll is a scalable, real-time chat platform that provides unmatched interaction and engagement for live online events. We have been helping clients to maximise the potential of their events through effective use of technology since 1990. Whatever the meeting type, purpose, location or scale, whenever our clients come together to learn, share new ideas, network and collaborate, our expertise and event technology solutions deliver the best possible outcomes. Deploying best in class technology, from our own award-winning devices and event apps to the carefully selected third-party solutions, and drawing on our unrivalled experience in delivering events across the globe, we shape, structure, set up and deliver events of all sizes. We go beyond the provision of an event app or device, we get to the heart of your event, understand your objectives, audience and challenges, and tailor both the event technology recommendation and the level of advice and support to your specific needs. Our involvement helps to transform and to elevate events and we are proud to support event managers, agencies and end clients across all sectors around the world. ElectionBuddy setup is straightforward and fast, and voting and sharing results is just as easy. But don't let the simplicity fool you, ElectionBuddy can handle complex ballots and voting needs too! See why Election Runner is the most popular online voting platform. EM Array live meeting technology optimizes information exchange and ensures analytic-driven improvement over time. Use a real-time engagement. Interact with your audience during live events. Allow them to be participants and future leads. Build the crowdsourcing platform. EventHub connects your event attendees to the information they need to get the most benefit from your event. EventHub leverages the power of mobile devices and HTML5 to deliver relevant Attendee based tools. EZ-VOTE Connect provides a variety of electronic polling tools to engage learners, increase content retention, and measure performance. Platform with embeddable, responsive modules for cultivating audience engagement. The task of iQ-Conference is to use the potential of mobile devices during conferences, trainings and various types of events. Therefore, participants of conference events are offered a new, interactive form. LiveWall is the tool for public events, business events, fairs, brands and customer service solutions. Use LiveWall as a tweet wall, social statistics, content aggregation platform, social CRM or narrowcasting. MiThoughts goes beyond the limitations of the wireless keypads and software for voting that are commonly used for audience participation by allowing users to view slides, submit questions, answer straw polls and see audience responses in real time on the iPad. Bubo Management is an event management software that improves communications and automates information flow. MyVote is a web-based application that enables you to create ranking, rating, and poll voting contests and view the results in real time. Audience can participate live on their mobile phones, tablets and desktops. Gives you an audience response system that promotes increased audience engagement and interaction. Peop.live is a live audience response system designed to increase interaction and engagement in events, panels, meetings and broadcasts. PowerClick is a solution help to make the event interactive with a mobile audience response solution that offers real-time polling, review, and analysis of voting data. With the ppvote conference system your audience will become as involved as you, participating and feeding back important and relevant information into your successful presentation. Gain feedback, run quizzes, see results live and much more. Hi there! Can I help you find the best Audience Response solutions?